Specialized Nursing Services is a Medicare-certified, Florida-licensed home health agency sending skilled medical professionals to the homes of our patients throughout Dade and Broward counties. We work with complex cases and services such as in-home chemotherapy, organ transplant cases in cooperation with the Cleveland Clinic, negative pressure wound therapy, and telehealth monitoring. If it can be accomplished via at-home healthcare, we can make it happen! For qualified beneficiaries, Medicare pays 100% for medical home health care provided by Specialized Nursing Services. For covered services, this means no deductible to meet, no co-pays, and no cost-sharing of any kind. You’ll get excellent home care assistance with your medical needs. Orders from a doctor for home health. We can help you coordinate this. Meet Medicare’s definition of homebound. The definition is not as restrictive as “homebound” implies. Please call us to discuss. Needs nursing or therapy services for a recent change of medical condition. Plan must have an expected endpoint, as opposed to long-term care. 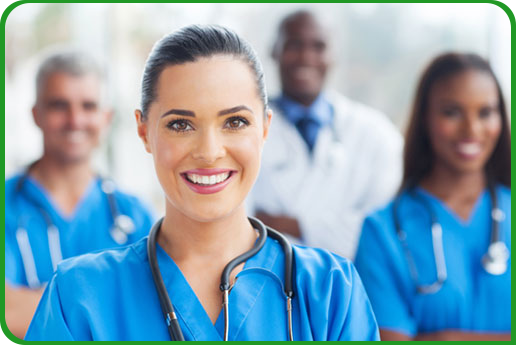 When you need help, Specialized Nursing Services is the home healthcare agency that can help you get better, all while in the comfort of your own home. Contact us today!